Embark on a learning adventure with your students during a field trip to the Garden! Our active hour long Discovery Programs bring plant science to life while reinforcing SOL concepts and vocabulary. Programs take place entirely outdoors (rain or shine) so please encourage students and chaperones to arrive dressed for that day’s weather. Each class returns to school with a Garden Starter Kit, complete with SOL-correlated science experiments and guided observation tips to easily facilitate small group and collaborative learning opportunities. Programs must be booked at least two weeks in advance. Please call (804) 262-9887 x 322 to register. Our Children’s Garden Group Information Guide is REQUIRED reading for any group that wants to schedule a trip to the garden. Familiarize yourself with the guide before bringing your group. explorations only. There are no playground areas available for active sports or running. • Walking feet and quiet speaking voices are expected in all areas of the Garden. • Respect the plants and animals by staying on the pathways. • Leave all plants and animals where you find them. • Students must stay with chaperones at all times. • Assign students to chaperones. • Review Garden Guidelines with students and chaperones. • Provide those responsible for transportation a copy of the appropriate map. Groups visiting during the school year should use the School Year Map. Groups visiting mid-June – August 31 should use the Summer Map. Preschool Groups visiting November – February for a Young Buds program should use the Young Buds Winter Map. • Review drop off and pick up locations. outside, regardless of weather conditions. the no-show fee is $90 per program. arrangements have been made to bill the school for all participants. • Teachers and chaperones are responsible for assisting the Children’s Garden educator. • Limit cell phone use to emergencies ONLY. • Additional adults and siblings will be asked to enjoy the Garden on their own. walking feet throughout your visit. • Indoor facilities for eating are not available. • Bring all snacks and lunches with you when you leave the bus. • Eat lunch or snack in designated Picnic Area in the Children’s Garden only. • Snack and drink machines are available in the Children’s Garden. adjacent to the picnic area. Programs are offered Monday-Friday at 9:00 am, 10:15 am and 11:30 am. Two programs available at 9:00 am, three programs available at 10:15 am and 11:30 am. Up to 25 students per program. Cost is $9 per student; minimum group charge is $90. One adult per five students is required to assist during the guided program time and admitted free of charge. This includes the teacher(s). Additional adults are $13 and are asked to enjoy the Garden on their own during the guided program time. Seasonal sights, sounds, scents, textures and tastes of the Garden come alive in this sensory exploration of the Children’s Garden. Each child participates in hands-on gardening activities. Take a journey through the forest to discover the array of plants and animals that live in this habitat. By observing the characteristic shape, color and texture of leaves, bark, and seed pods; students learn basic skills for identifying trees and discover how each part of a tree functions. Starting with an investigation of seeds and ending with a study of full-grown giants of the plant world, students gain knowledge about the life process of plants. Each child participates in hands-on gardening activities. Our interdependence with plants is emphasized as students learn more about how plants make oxygen, and how we use plants for food, medicine and clothing. Each child participates in hands-on gardening activities. Go with the flow as we examine the water cycle and its relationship to living organisms. Students investigate the effects of weather and human activity on water quality as they observe several aquatic sites in the Garden. In the Farm Garden, we discuss the importance of water to agriculture and discover how seasonal changes affect the crops we grow. Through hands-on activities including corn grinding, mat weaving, and seed planting, students get a taste of how it might have felt to live the lifestyle of an Eastern Woodland Indian. Additionally, students explore a wooded trail and consider how natural resources in the forest were used by Native Americans to obtain food, clothing and shelter from their environment. Understanding the vital needs of plants is an important part of maintaining a healthy garden. Through examination of various plants, students consider the reasons why it is beneficial to the environment to choose species that are well-adapted to the light, water, soil, and temperatures of their ecosystems. Students also learn about the minerals and nutrients plants need to thrive by observing soil components and exploring compost communities. Investigate and compare plant and animal communities in the wetland and the forest as students use the scientific method by making observations, measuring and collecting data in each habitat. Trees thrive in forest, wetland, desert, and urban habitats. Several factors affect the growth rate of trees including tree species, climate, and the availability of water, nutrients, and space to grow. Using basic tools, students investigate different species of trees through a variety of observations, including measuring circumference and height, calculating the average crown spread, counting tree rings, and examining tree parts. Students share their data and discuss some specific factors that affect the growth rate of trees in urban areas. Discover the path water travels through the Garden as students investigate our local watershed and its impact on larger bodies of water. Using basic tools and water chemistry test kits, students collect water quality data and explore pollution sources, human activities, and weather events that may impact the health of aquatic habitats. Summer programs are offered Monday-Friday at 9, 10, and 11a.m. for up to 25 students per program. What does a caterpillar eat for lunch? How does it turn into a butterfly? 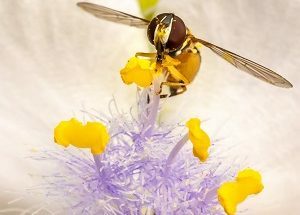 Why do bees buzz? Students will learn about a variety of pollinators and tour the Garden in search of them. Examining fruits, vegetables and herbs will help students to understand the important role that pollinators play in helping plants to grow. There are so many different ways plants and animals adapt to survive in their habitats. Strong beaks, long antennae, and camouflaged colors are just a few of the adaptations to be observed. 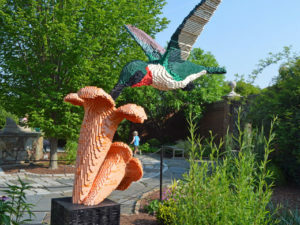 BONUS: When our Nature Connects®: Art with LEGO Bricks exhibit arrives, sculptures will be incorporated into the program. Hands-on activities along the way will include the opportunity to get creative by designing adaptations for a special plant or animal.